With capacity for more than 11 million passengers each year, there’s always a huge demand for parking at Manchester Airport Terminal 2. APH can help ensure you find the best at the cheapest prices. Starting your trip with Manchester Airport Terminal 2 parking reserved through APH will mean one less thing to worry about as you prepare for departure today – and all the stress it can often bring. Use our guide to determine the perfect parking for your trip from Manchester Airport Terminal 2, with top-rated services such as Manchester Airport Multi-Storey Terminal 2 boasting its 9.4/10 rating and APH Car Park with an impressive score of 9.3. 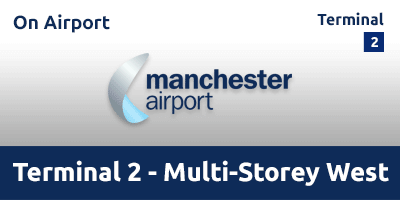 Using the information contained within the following sections will help you choose the best Manchester Airport Terminal 2 parking for your journey. There’s more to airport parking than simply finding a space, parking, then heading off on your hols! With millions of travellers driving to Manchester Airport Terminal 2 annually, finding your personal space needs a little pre-planning. Here at APH we offer myriad services to ensure you get the parking at Manchester Terminal 2 that’s right for you. From cost-effective park and ride provided by the likes of APH Car Park to smart on-airport services including Manchester Airport Multi Storey Terminal 2 and the luxury of meet and greet from Meet & Greet Terminal 2, we’ve got your parking space ready and waiting. Take a look at the table, below, for an overview of Manchester Airport Terminal 2 parking available through APH. Millions of travellers are looking for space to park at Manchester Airport and the surrounding areas – so make sure you don’t fall into the clutches of unscrupulous operators looking to make fast, easy money at your expense. The Park Mark Safer Parking Award provides a vital resource for travellers looking for the best prices from legitimate operators providing parking for Manchester Airport Terminal 2. Parking services provided through APH, such as Jet Parks 1, offer the reassurance of being part of a scheme helping travellers identify safe, legitimate parking at Manchester Airport’s Terminal 2. The Park Mark Safer Parking Award ensures travellers flying from Manchester Airport Terminal 2 can park and fly without worrying about their car while away. As a Police Crime Prevention Initiative, the Park Mark Safer Parking Award is intended to reduce crime or the fear of it in car parks across the UK. APH is a proud supporter of the Park Mark Safer Parking Award and its determination to ensure safe and legitimate Manchester Airport Terminal 2 parking for all users. Alongside the Park Mark Safer Parking Award, APH offers reviews for all products we sell. Using these, APH customers can find honest reviews of the Manchester Airport parking products they're considering. All reviews are collected and published through independent provider, Reevoo, to ensure travellers get a full and uncensored overview of the company. Reevoo guarantees reviews published on the APH website have not been edited or specially selected to a deliver unrealistic impression of any product. Reevoo gives the full picture. Check out reviews for parking services, such as APH Car Park, operating products covering Manchester Airport Terminal 2. Here at APH we’re not just committed to delivering safe and secure Manchester Airport Terminal 2 parking, but also providing it at the best possible price. Here we share some of the real-world tips that can help cut the cost of parking for your upcoming adventure from Manchester Airport. Saving with APH is easy – a saving of at least 10 per cent is ready and waiting without having to move from your computer! 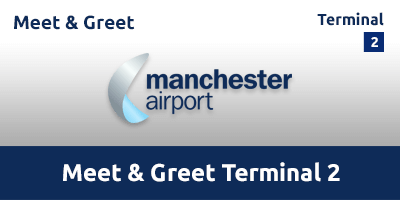 Claim your discount by heading to the base of this web page where you can enter your email address, hit send and claim a 10 per cent discount on all Manchester Airport Terminal 2 car parking. Along with a saving of 10 per cent for joining the APH email mailing list, we can also offer further cash-saving tips for our loyal customers. 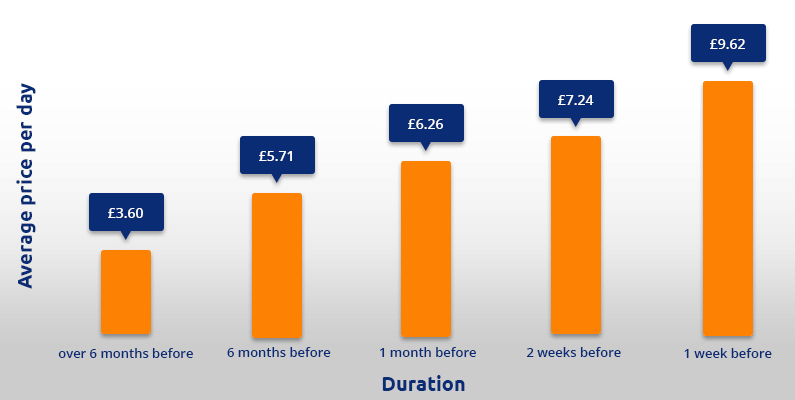 The cost of airport parking at Manchester Airport Terminal 2 varies across the year, but choosing the best right time to book can easily mitigate price rises at times of peak demand – such as school holidays or the Christmas period. We’ve been operating for almost 40 years, which means APH holds a wealth of historical pricing data that can reveal the best time to book parking at Manchester Airport Terminal 2. APH is keen to share this data to help customers get cheap Manchester Airport Terminal 2 parking whenever they fly throughout the year. Data allows us to predict the average price for Manchester Airport Terminal 2 parking depending on how long before departure it is booked. And it’s clear to see that reservations made six months before departure are likely to bring the biggest savings. Our data shows booking Manchester Airport Terminal 2 parking six months before departure could be around 62 per cent cheaper than bookings made seven days before flying. Not everyone can book six months ahead, but making your reservation as soon as possible will typically bring a significant saving. Use the graph below to explore potential savings obtainable depending on when a booking is placed with the likes of APH Car Park. 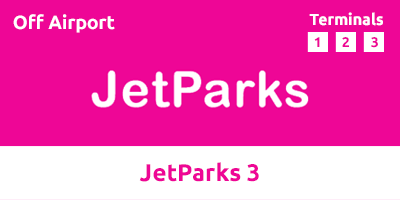 Another cash-saving strategy come from booking park and ride parking – from the likes of Jet Parks 2. This is safe, secure parking at a price that’s among the cheapest. Here’s the parking we currently offer at Manchester Airport Terminal 2. Here we explain the types of parking available and how you can select the perfect solution for your trip from Manchester Airport Terminal 2. Take a look at our at-a-glance guide to the various types of parking, followed by a full description below. Here is all you need to know about finding the perfect Manchester Airport Terminal 2 parking for your trip. On-airport parking from the likes of Manchester Airport Multi Storey Terminal 2 offers fast and easy parking that’s just a few minutes’ walk from the check-in desks. This parking guarantees a legitimate security-protected service for a cost-effective price. Simply drive to the airport-based car park, find a space then take the short walk to Terminal 2. Drivers can keep their keys, with cars staying in the original parking space for the duration. 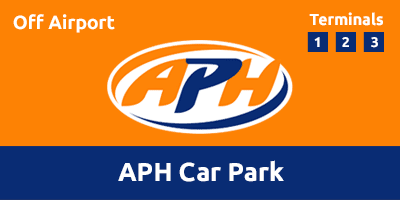 All on-airport car parks offered by APH are fully security-protected and holders of the Park Mark Safer Parking Award. Best for: Travellers who don’t want to waste time getting from their car to the check-in desks will love this. No transfer buses – just a short walk to the check-in area. Mid-priced parking that offers a great return on convenience. Cost-effective parking that doesn’t compromise on safety. With most car parks just minutes from the terminal, services such as APH Car Park bring safe and cheap Manchester Airport Terminal 2 parking to all. Just drive to the car park, check-in, unload luggage and jump on one of the frequent shuttles heading to and from the check-in desks. Security includes features such as CCTV, security barriers and manned patrols. Most off-airport park and ride services offered through APH are recipients of the Park Mark Safer Parking Award. Best for: Ideal for all travellers searching for safe, cheap airport parking for Manchester Airport Terminal 2. Just remember to factor in up to 45 minutes to get to the car park and back to the terminal. Meet and greet parking will help Terminal 2 users get to the check-in desks with the minimum of stress – and quickly. No need to head for off-airport car parks, or transfers to the check-in area – just drive directly to the terminal, meet your valet driver, unload your bags and get checked in. Your car will be parked for you in a security-covered car park while you travel. All meet and greet services provided by APH are in possession of the Park Mark Safer Parking Award. Best for: Great for those flying with kids, disability or heavy sports equipment. Easy, fast and stress-free is the name of the game for this form of Manchester Airport Terminal 2 parking. Not looking forward to an early morning drive to the airport? We’ve got the solution. Savvy travellers are skipping the early morning airport drive by enjoying a pre-flight stop-over at one of the nearby airport hotels. Combining parking with a hotel room can often add just a few pounds to the amount you’ll pay for the parking alone. Find out more about hotel and parking packages at Manchester Airport Terminal 2 and how it could be the perfect start for your next trip. 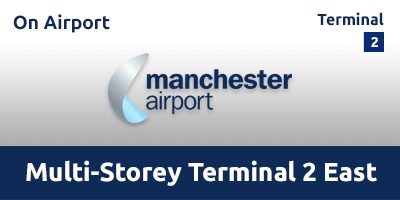 Get ready for your journey from Manchester Airport Terminal 2 by preparing a route to your car park or meeting point. Use the map on this page to help ensure you arrive at the check-in desk with plenty of time to spare.